Even reading this quote, you can grasp straight away the tragedy and despair of this story. 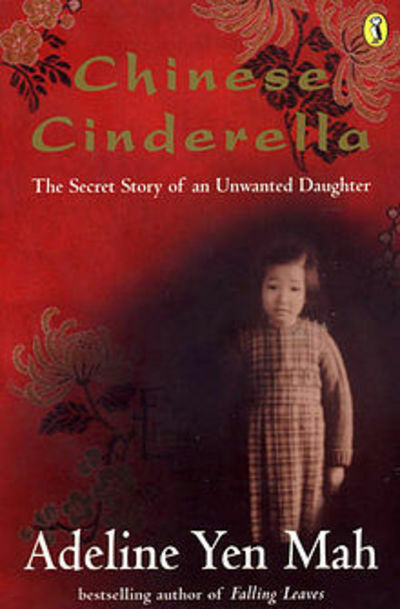 Chinese Cinderella is one of my absolute favourite books. I picked this up from a book store when I was about 15 or 16 years old, I had never heard of the book or the author before, but it was the cover that had drawn me to it and I have to admit this story has had a lasting impression on my life and how I treat others. I will tell you now; it is not an easy read. It is based on the life of Adeline Yen Mah and the cruelty and abuse she faced at the hands of her stepmother. I suppose it is very like the Cinderella fairy tale that we all knew growing up as children, however knowing that this one was based on reality makes the story ten times more difficult to fathom. When you look at the cover and the image of the young girl, it pains you to imagine that this child should have ever suffered so much hurt and betrayal. Adeline Yen Mah was seen as bad luck when her mother passed away whilst giving birth to her. The author goes into great detail about her early years growing up China and the struggles she faced to prove her worth amongst her siblings. It must have been a horrible experience for the author to try relay her experiences onto paper; I can only imagine the pain that she must have felt writing this book. It is a great weekend read in that it is only 234 pages long. It is a book I read over and over again, mainly for the reason that it always puts things back into perspective for me, which I think if a book can provoke these thoughts then it must be passed on and recommended for others to read. Have you ever used a knitting machine?